White trillium flower (Trillium grandiflorum); public domain photo on Wikipedia. 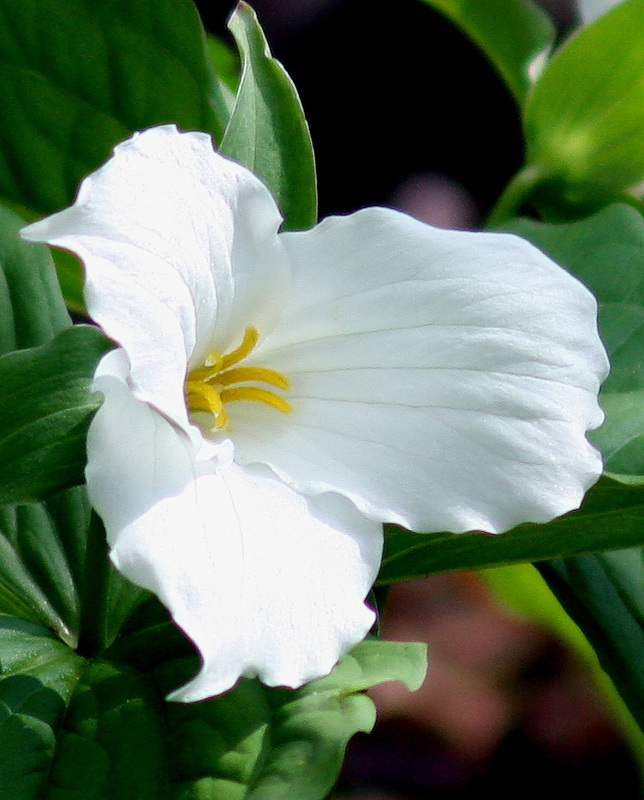 Found in all 88 counties of Ohio, white trillium is also called wood lily, wake robin, snow trillium, great white trillium, or large white trillium. This simple, graceful perennial is one of the most familiar and loved spring woodland wildflowers in eastern North America.